We are hosting mechanics classes in the new year! Basic Maintenance Classes are $35 and will be held on Saturday January 19th, from 4:30 – 7:30 pm and Thursday February 7th, from 6:00 – 9:00 pm. The Advanced Mechanics Class is 4 consecutive Saturdays from January 26th through February 16th from 4:30 – 7:30 pm, with a cost of $100. We have some dedicated volunteers who come in every week, and regulars who come to work parties and special events. We wouldn’t exist without your help. To keep in touch, we have 509 emails on our contact list (up 10% from 2017). Sharing Wheels has a tent, bike corral and racks that can be setup at events to provide secure bike parking and outreach. For the second year, a $500 City of Everett grant paid for parking at Sorticulture (71 bikes), BIKES Club covered a month of parking at the Everett Farmers Market (39 bikes; $300). We also provided parking at BIKES event the McClinchy Mile (53) and loaned our setup to the Delta Neighborhood for their National Night Out event in August. 164 bikes parked over 8 event days. Basic and Advance Classes were offered in the first half of the year. We did not have sufficient signups for later classes (offered in fall), however there remains strong interest. 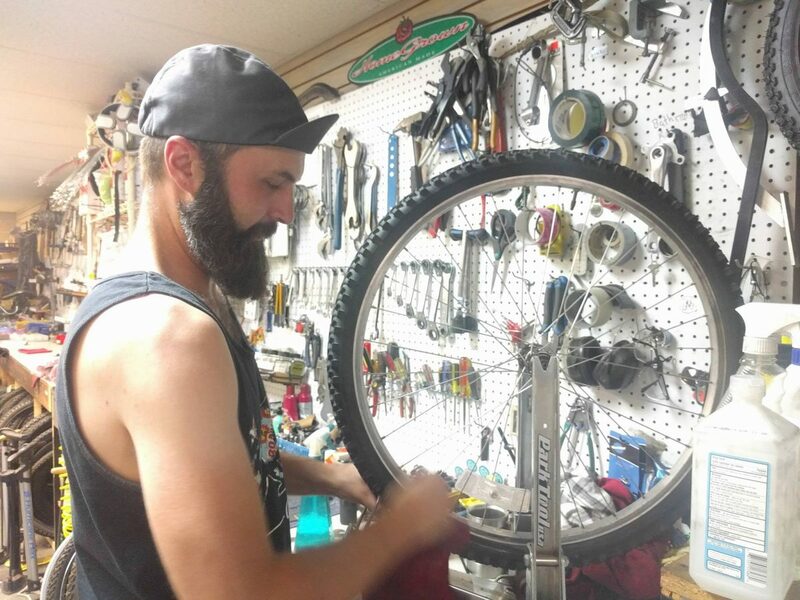 Work for Wheels allows people to volunteer time at the shop in exchange for credit towards a refurbished bike or major purchase (up to $250). Time is valued at $10 per hour. The program is open to all, but we ask for optional employment and income information. New (revived from the past) program with outcomes still pending. Our volunteers provided bike repair and other services at quarterly WSU Extension Repair Cafe events. Participants bring in broken stuff and hope to have it fixed for free.